Mission Statement: To inspire students to be lifelong learners – to be respectful, to be resilient, to be responsible citizens. The board and senior leaders share a commitment to school improvement through the school’s strategic goals and targets set to raise student achievement. 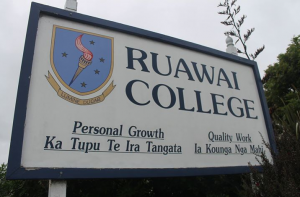 Students at Ruawai College benefit from a broad, relevant curriculum that supports their learning and achievement and fosters their wellbeing. The school engages positively with its community to promote and celebrate student success.